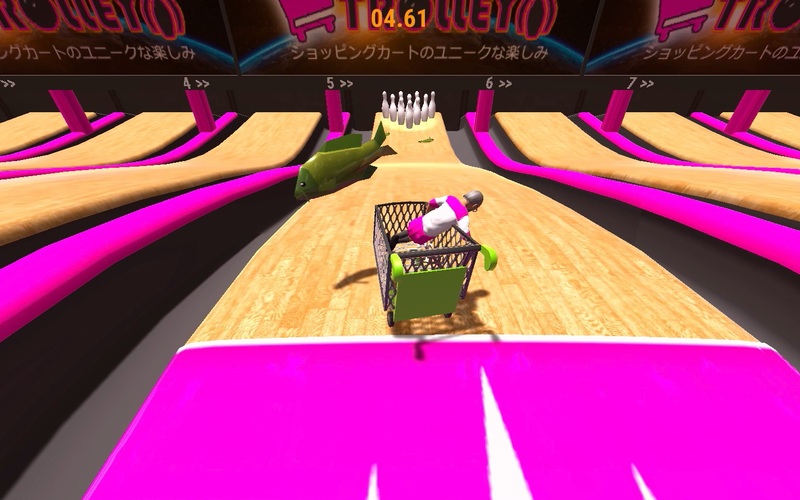 Nippon Marathon is a ragdoll multiplayer racing title where developer Onion Soup Interactive promises anything can happen. Set in the land of Nippon, players will have to conquer a selection of courses across a variety of environments. If this means hurdling barrels, outrunning dogs, and avoiding obstacles like bicycles and flying fish, then so be it. You'll also be doing all of this while throwing fruit at your opponents. 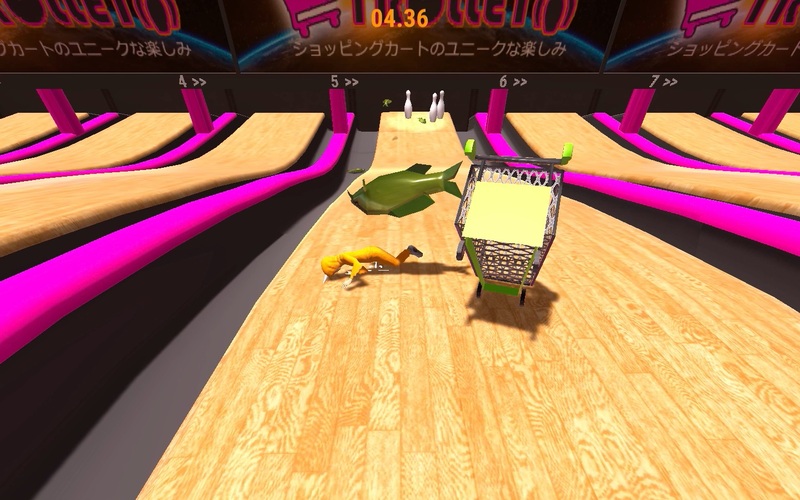 If this sounds suitably insane, that's because it is, and a new mode has just been revealed to be included in the game when it's released later this year: Go-Go Trolley Bowling. 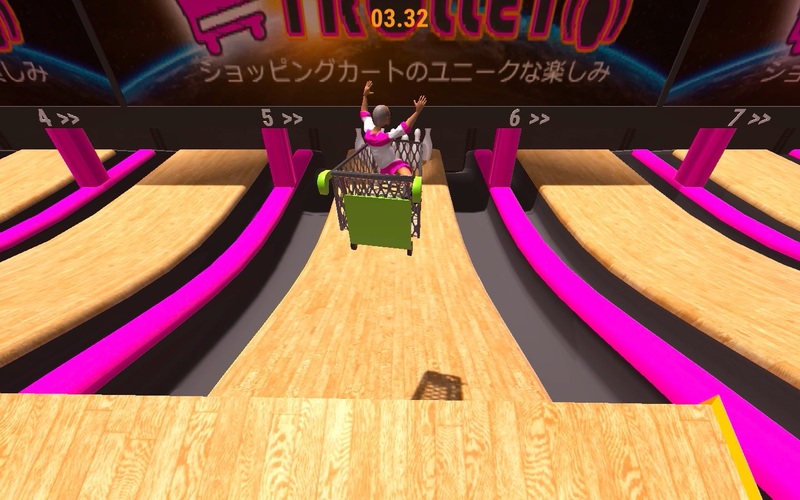 Up to eight players duke it out in a mode that sees them taking aim, sprinting towards a shopping trolley, and hurtling down a ramp into a frame of oversized bowling pins. It isn't just as simple as getting a strike, though. Between each of the frames, randomised hazards are generated to get in your way, be it barrels, paper doors, disco balls, and even the aforementioned flying fish. Take a look at the screens below if you don't believe me. 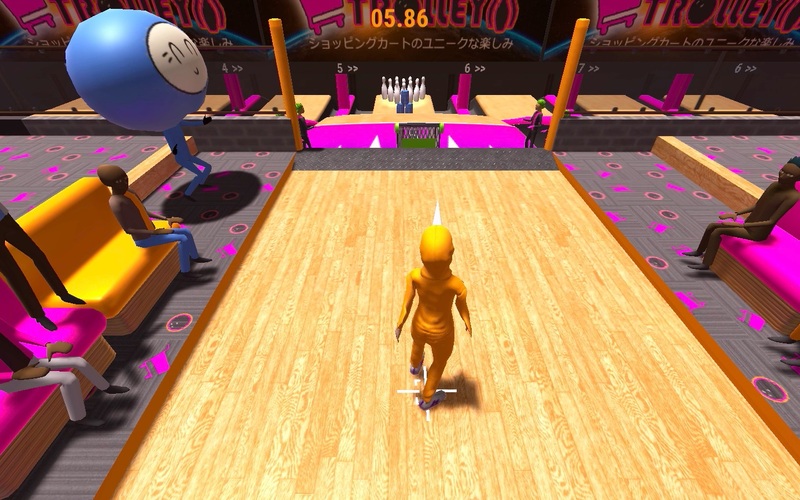 Nippon Marathon is due to be released this fall on Xbox One, so you have plenty of time to practice throwing yourself down a bowling lane beforehand.